Home»Snowsports Holidays»Why Choose Interski For Your Skiing Holiday? Why Choose Interski For Your Skiing Holiday? As genuine specialists we offer an unrivalled level of knowledge and expertise, meaning we can provide you with the best ski holiday possible. Because we focus on just one area, Italy's Aosta Valley, our in-resort service is simply unbeatable. 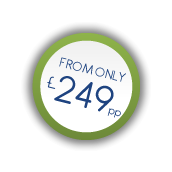 Our expertise also enables us to offer incredibly inclusive packages - all our prices include your lift pass and wintersports insurance. Half board packages even include a hot snack lunch in a mountain restaurant every day - a real money saver! With 33+ years of experience in the Aosta Valley we have built up in-depth knowledge, superb relationships and an unbeatable resort infrastructure - we know our resorts inside out. Choose from room only, self-catering, bed and breakfast or half-board hotel accommodation, from 2 to 5 star. You can also choose from air, executive coach or own transport options, as well as the length of your stay. It's not just for individuals and couples - with our unique ski school set-up, we're the best choice for families and groups by a mile. The Interski Snowsport School is the largest British run snowsports school in the Alps, providing tuition for everyone from total beginners to experts looking for some fine tuning. We own and run our very own purpose built equipment hire centres, with our own technicians and row upon row of high quality Atomic skis, boards and boots. We have our own ski clothing rental service, which can deliver top quality ski wear direct to your hotel room in Italy - fantastically convenient and FREE for all 7-15 year olds. Over 45 friendly and enthusiastic staff based in the valley for the entire season. Interski is privately owned and financially sound. We are a member of ABTA (V6114) and an ATOL holder (1409) - total security and peace of mind for you. 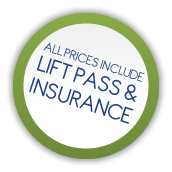 Don't forget, absolutely all our prices include a lift pass and winter sports insurance - great value for money. We have the largest British snowsports school in the Alps staffed by minimum BASI Level 2 instructors or national equivalent (all English-speaking). Learn to Ski Weeks, adult group lessons, junior ski school for 7-15 years and private lessons for 1-4 people are all available. Already pretty experienced? We won't leave you out either - Ski Technique Turnaround, Gap Year Courses (all ages welcome!) and ISIA Courses will push you to your limits.